He had an amazing career, winning 126 international caps and playing at 4 World Cups and 2 European Championships, and he holds the record for the most games played in the Spanish first division in his time at Athletic Bilbao, Barça and Valencia (622). He had many qualities, including his level-headedness and superb positioning between the sticks. 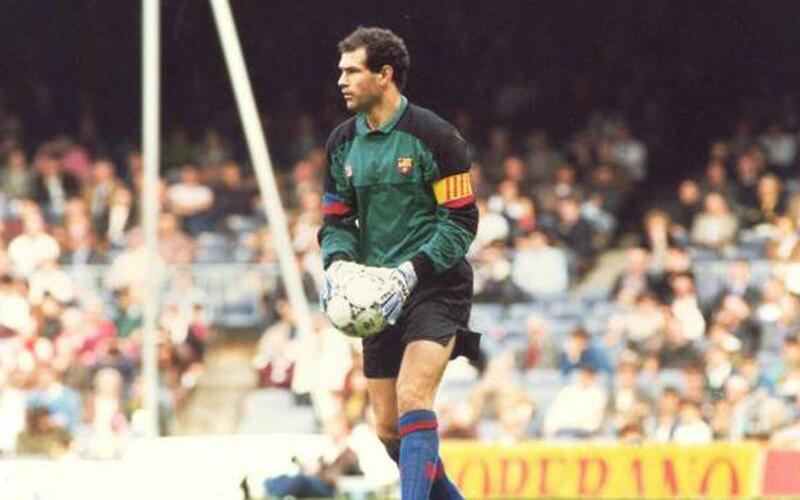 In 1986 he joined FC Barcelona as a replacement for the legendary Urruti. He was the mainstay of the famous 'Dream Team' and was, along with Koeman, the hero of the Wembley final with a series of miraculous, decisive interventions. Known as 'Zubi', he was also captain of the club for several seasons, and was noted both on and off the pitch for his serenity and psychological balance, which he was constantly able to transmit to the other players in order to get through the most difficult of match situations. Between 2010 and 2015 he was sporting director at FC Barcelona.